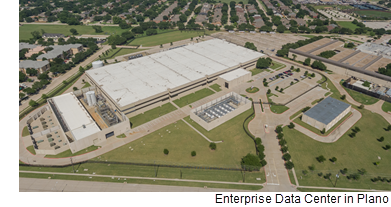 ​​​​​​​ ​PLANO – Dallas-based Lincoln Rackhouse and Principal Real Estate Investors have purchased a 454,000-sf data center on Coit Rd. as part of a three-building, ​​1 million-sf portfolio. All three buildings recently underwent $200 million in upgrades, according to the buyer. ​Check out​ Dallas-Fort Worth-Arlington Industrial Market Research.